We also have our book More Than Physique which has over 100 pages and was written to help teach some of the basic principles in designing body composition based programs for the general population. 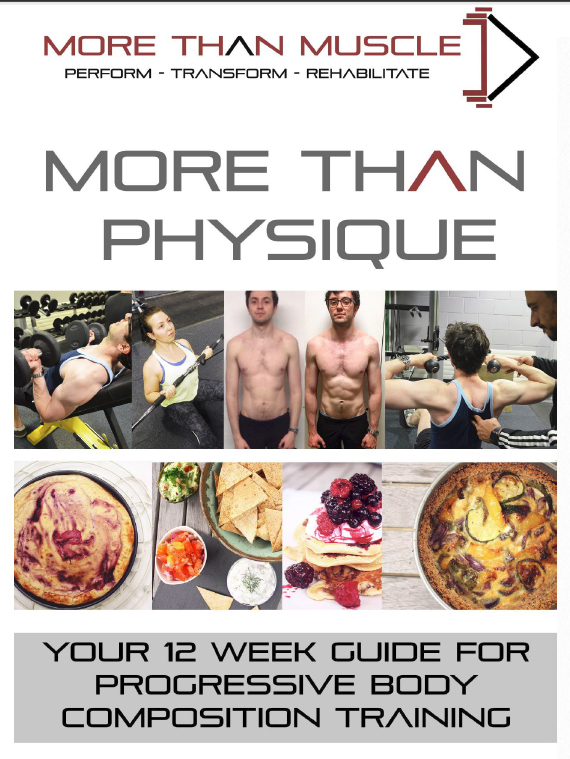 The book provides information on resistance training and nutritional principles, an example 12 week training plan and a recipe section to ensure not only a kick start to your physique goals but also the ability to maintain and progress upon them in the future. Our goal is to help you reach your physique goals and give enough baseline knowledge for you to program your next 12 weeks of training on your own. NOTE - Once purchased, you MUST click the ‘Return To Merchant’ button at the bottom of the PayPal confirmation page in order to download your purchase.